Two of the newest fads in the food world is kale and green smoothies. Unlike many other food fads, these are ones I can get behind. I want to share with all of you a recipe I learned earlier this year for a Kale (Or Spinach) Green Smoothie. 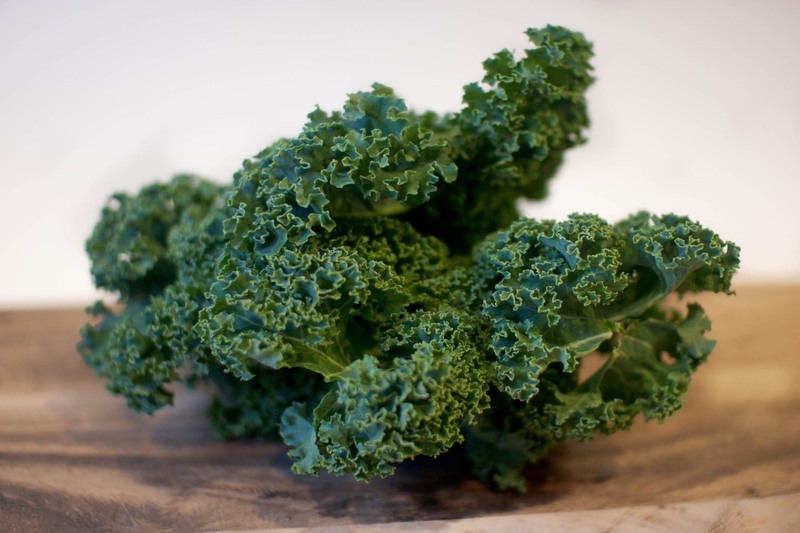 Kale is a great dark green vegetable that provides vitamin A and K. The high fibre content in kale gives it a really interesting texture that I liken to collard greens. What I love most about kale salads is that unlike lettuce or other salad mixes, the dressing won’t wilt it down in just a couple of hours. It stays vibrantly crisp even after cooking it down in soups. I had this smoothie while I was doing my Stage at Royal Victoria College – a McGill residence. They make this smoothie in their dining hall. I immediately told my supervisor, family and friends that I had just drank the best smoothie I’d ever had in my life. A couple of months later, I taught a basic nutrition class at two elementary schools and the kids loved it! They said “ew” and “gross” as they watched me pour all the kale into the blender but soon after, they oo-ed and ah-ed and proceeded to ask me for the recipe to give to mom and dad at home to make for them. I was really pleased with the outcome. I love kale and spinach. However, I realize that not everyone does. BUT I can assure you that this smoothie may likely change you and your children’s minds about these dark and nutritious vegetables. So follow this recipe and have a taste. It’s the closest I’ve gotten to the smoothie I had at RVC. Add it all into the blender – I usually go with the exact order I listed (liquids first!). The recipe is approximate, and feel free to have fun with it. Add a lot of kale and spinach! If you like your smoothie thicker – add more frozen mango. The secret is, the vanilla soy milk. It adds a nutty and sweet flavour to the smoothie that milk or regular soy milk just doesn’t. Try it with other smoothies too! This is great for those who are lactose-intolerant or have dairy allergies. As the weather in Montreal is getting nicer, try this and let it become a summer staple.